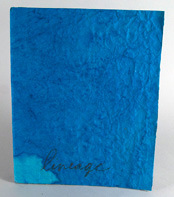 Lineage was inspired by Peterson’s son and his wonder and curiousity about the natural world. 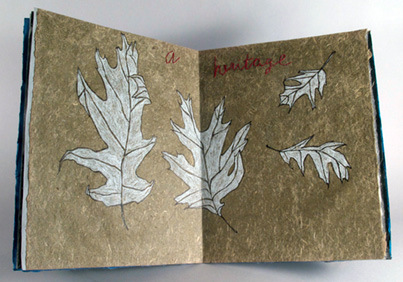 Andrea Peterson is a printmaker who specializes in handmade papers. Andrea holds a BFA from the School of the Art Institute in Chicago and a MFA from the University of Minnesota.She lives with her family on a farm in rural Indiana.